The Bio-Ray Elbow Guard is designed and manufactured for those who need extra elbow support due to labour, active sports or aging. The Bio-Ray energy penetrates up to 30mm into the muscle to support oxygen and blood circulation, which strengthens the ligaments of the elbow joint. By strengthening the muscles and ligaments supporting the elbow, it reduces the risk of elbow pain and elbow injuries with overall elbow support. 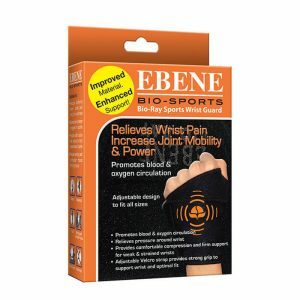 The Ebene elbow brace is available in 4 sizes (S to XL) and perfect for those who are active in sports that put pressure on the arms and elbows, such as tennis, golf, basketball and volleyball. The elbow brace is also suitable for men and women who need extra support for nursing elbow strains or other injuries. The brace can be safely worn the entire day to support you during everyday activities. Increases energy supply to arm for better strength during exercise and manual labour. 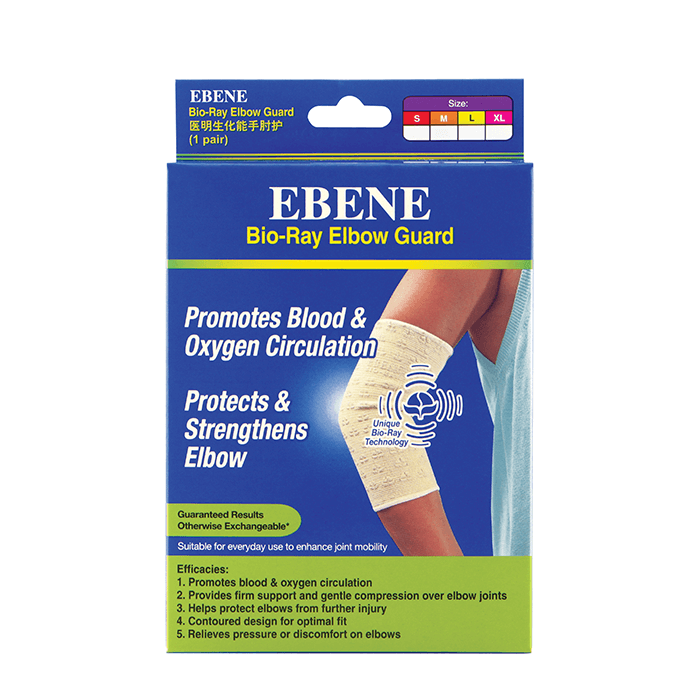 Supports nutrition supply for stronger bones and soft tissue in the elbow. Improves oxygen & blood circulation due to the Bio-Ray technology. Prevents arm & elbow pain caused by excessive exercise & labour. Increases overall arm and elbow strength. Provides support during heavy carrying, active sports and injuries. The Bio-Ray technology enhances health and metabolism. Recommended to hand wash with mild detergent but avoid excessive rubbing and squeezing to prevent the removal of Bio-Ray material. Slide guard over elbow and ensure fit is snug. Measure circumference of arm, 2 inches above elbow and you’re good to go. 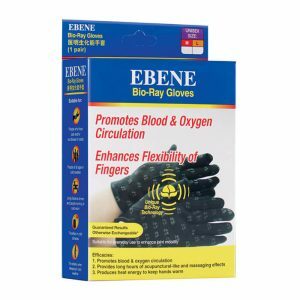 Enhances flexibility of fingers while promoting blood and oxygen circulation. Relieves wrist pain and increases joint mobility and power. 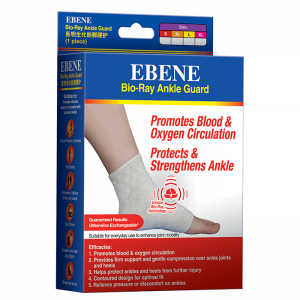 Protects and strengthens ankle while promoting blood and oxygen circulation.